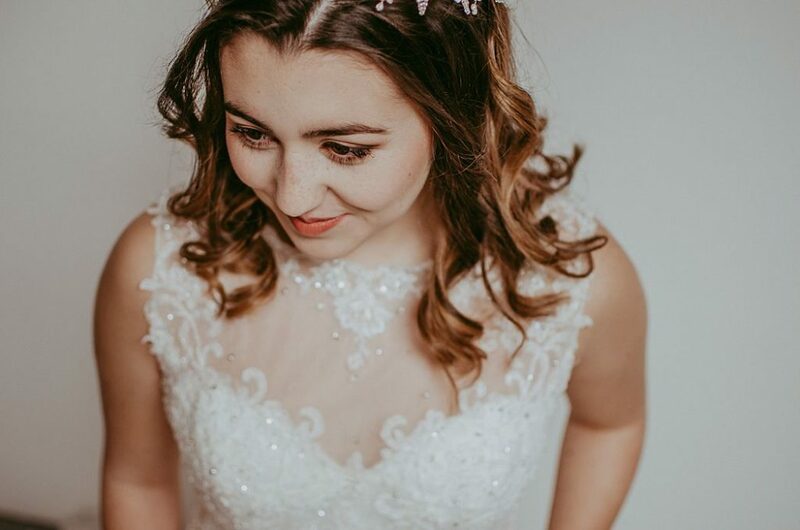 Images by Heather Lerryn Photography. 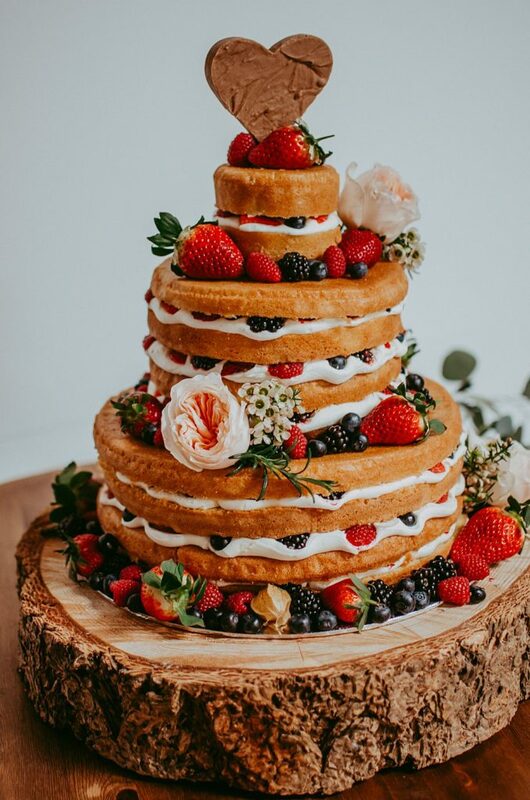 Rustic inspiration galore – from a beautiful tablescape, an eat-me-now cake to peachy florals and oodles of foliage. We love this little snippet of The Barn at Avington, a gorgeous blank-canvas barn like no other in Hampshire. 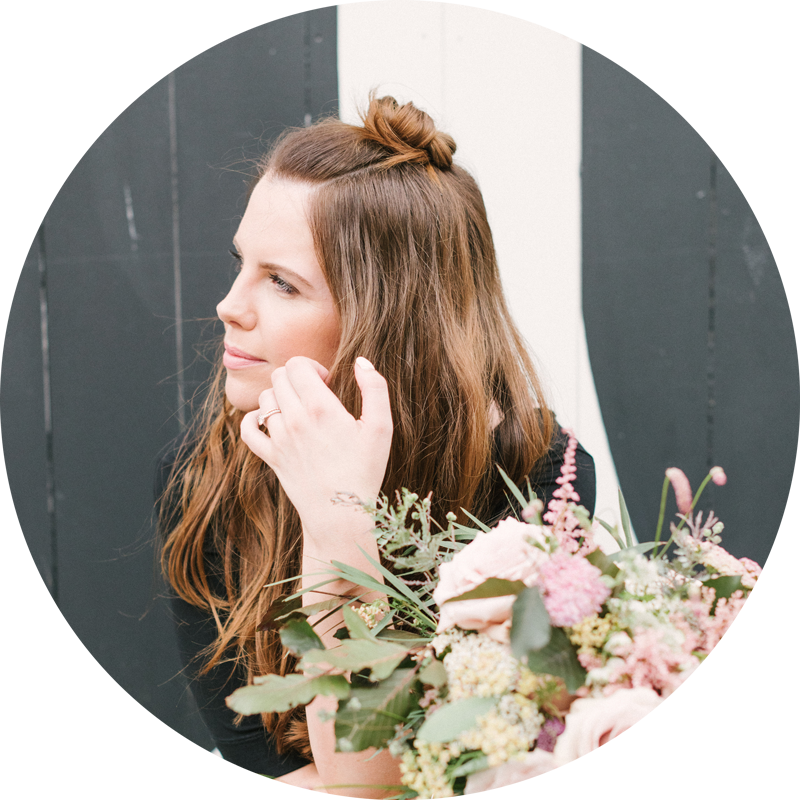 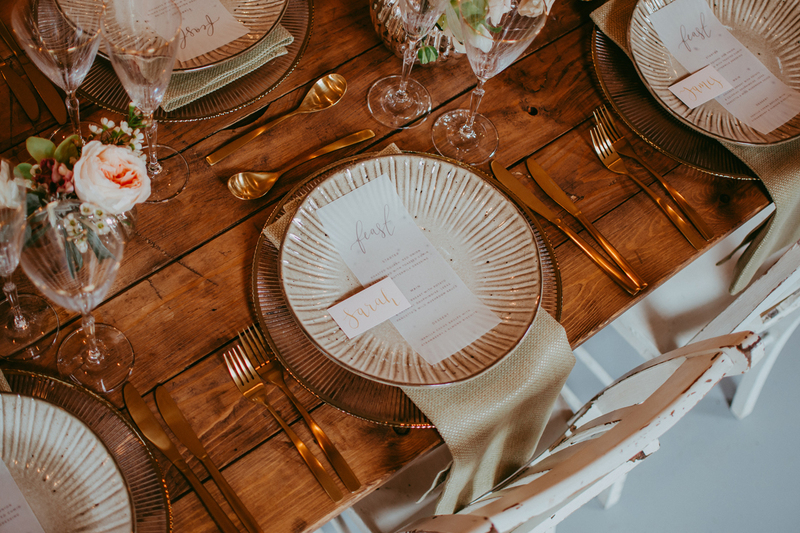 Photographer Heather Lerryn is here to tell you the story behind this inspiration shoot. 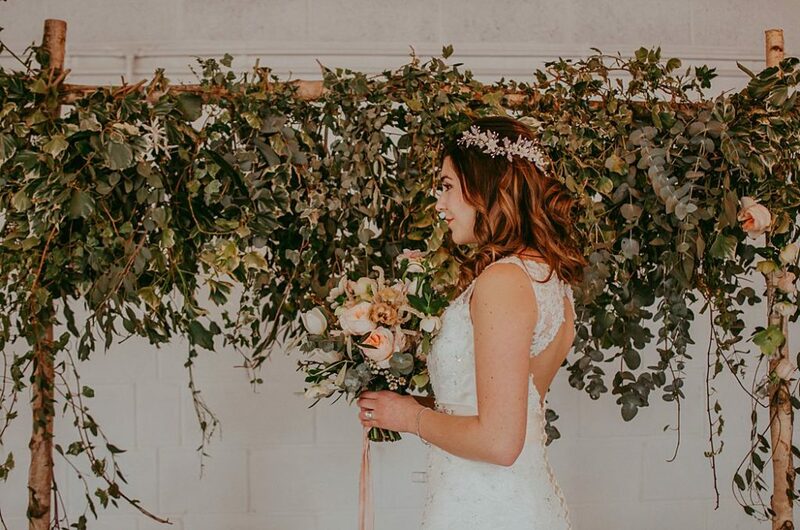 As soon as I saw the photos of the The Barn at Avington, I knew it was a perfect choice, with it’s beautiful surroundings, rustic interior and high ceilings, it fitted the venue criteria perfectly. 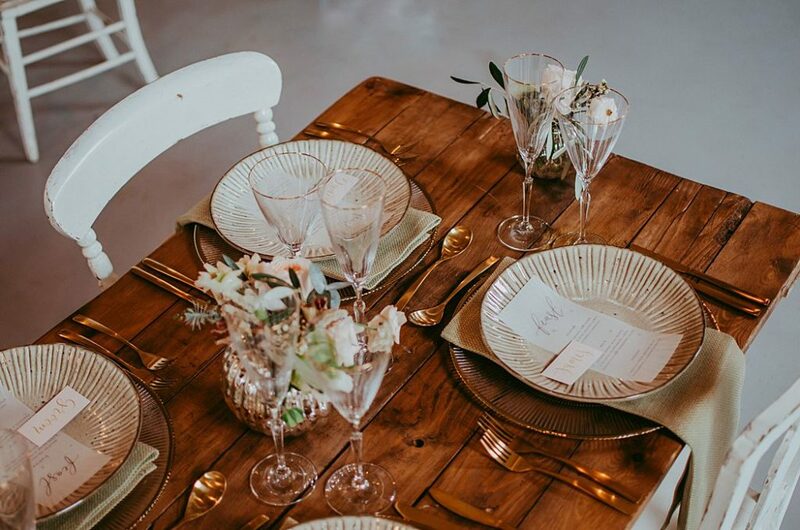 A large open space with plenty of natural light and a central location for Hampshire businesses to come together and bring to life this styled shoot. 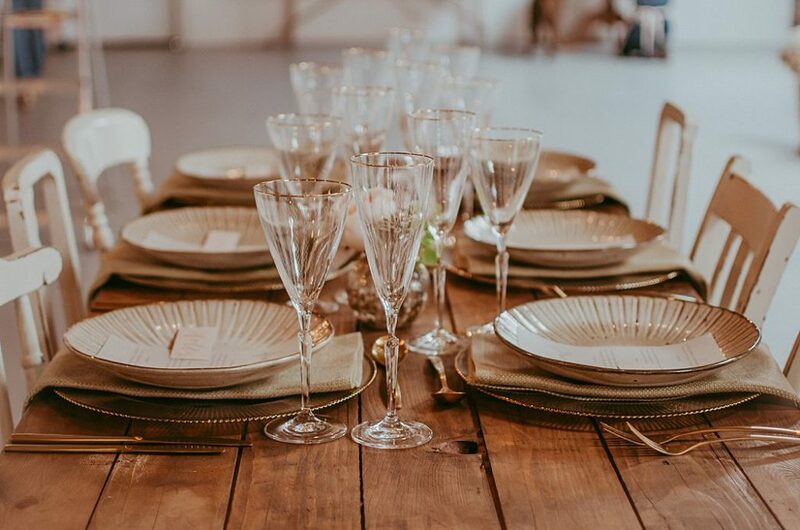 The theme for the shoot was whimsical with a touch of elegance. 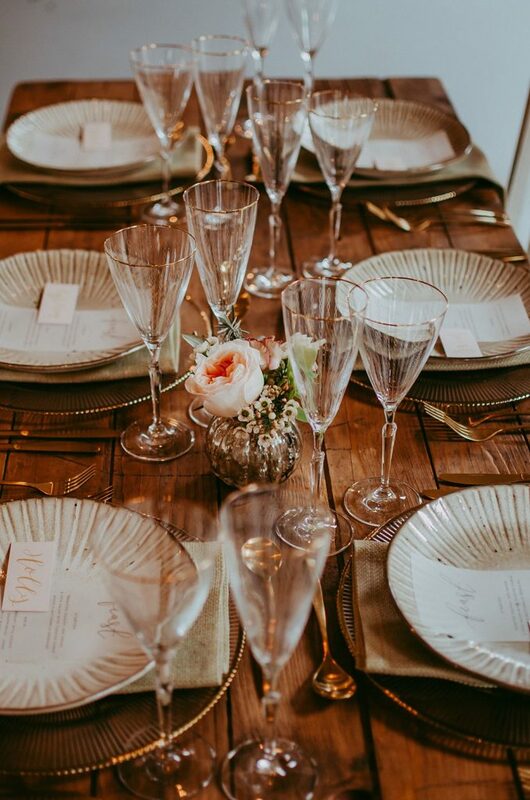 Each aspect of the shoot was carefully planned to bring together soft and beautiful details. 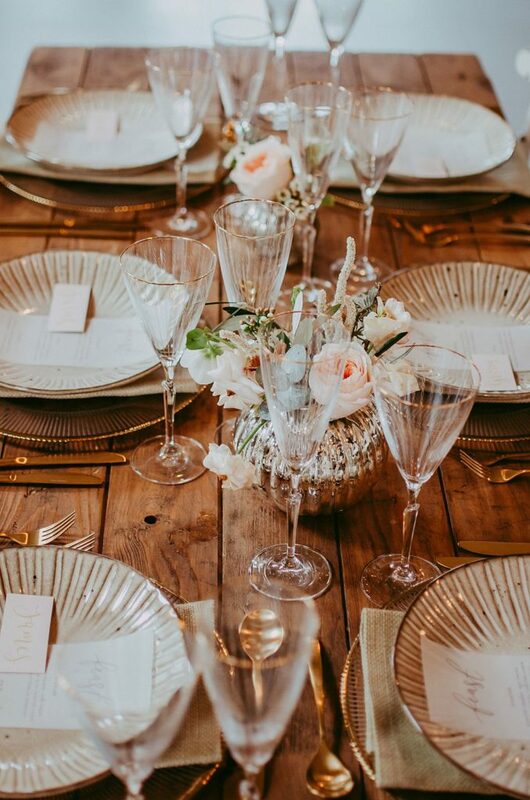 Soft blushes and light greens were the palette for the flowers. 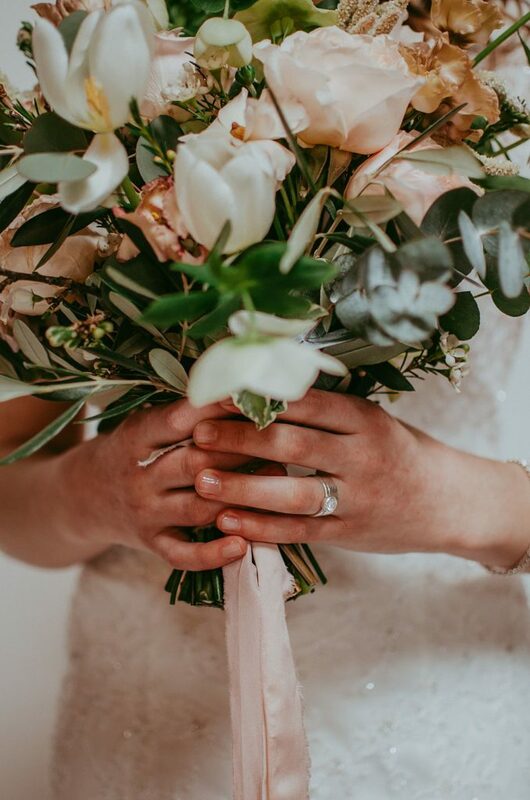 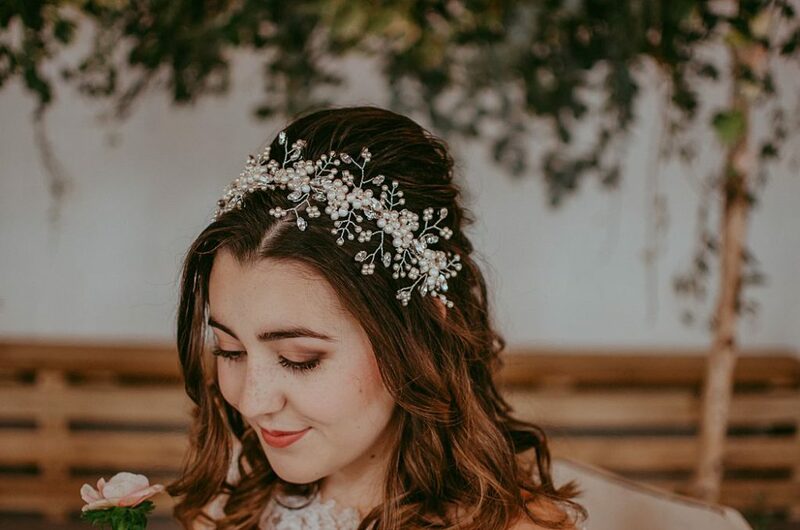 The emphasis on a spring wedding resulted in high neckline dresses with long, elegant trains, loosely curled hair, soft makeup and intricate details in the rings, earrings and bracelet. 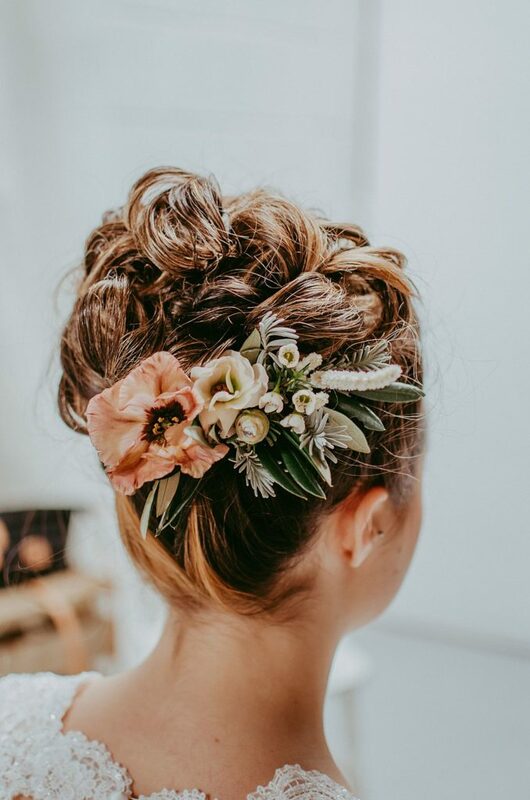 The hair pieces were to stand out against our model’s brown hair. 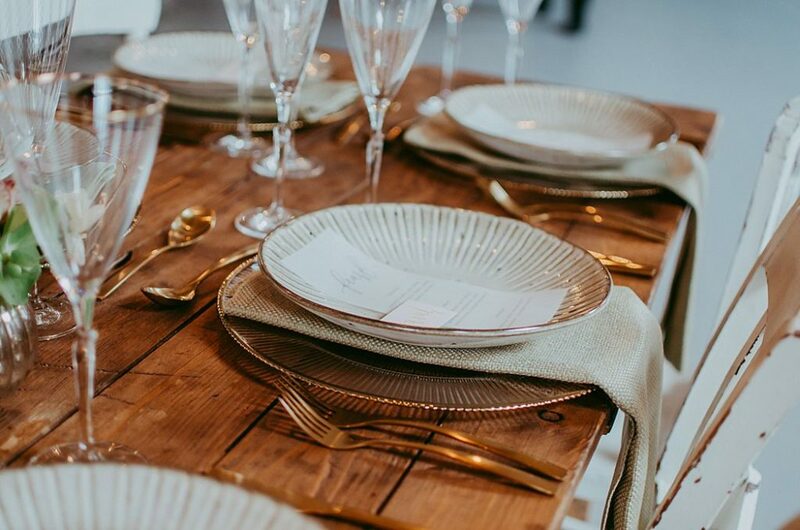 Handmade with attention to detail, they were a statement piece to bring it all together. 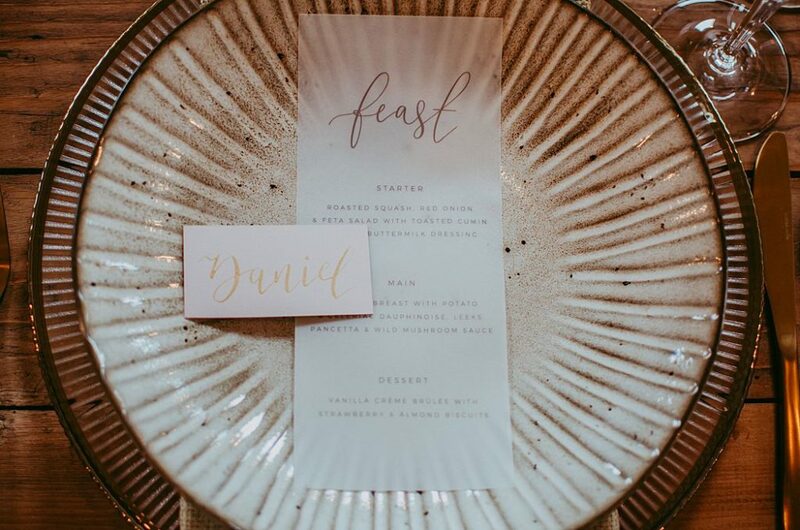 For the décor and table styling, we went with a rustic barn wedding feel, again with soft colours on the table, elegant tableware and beautiful stationery. 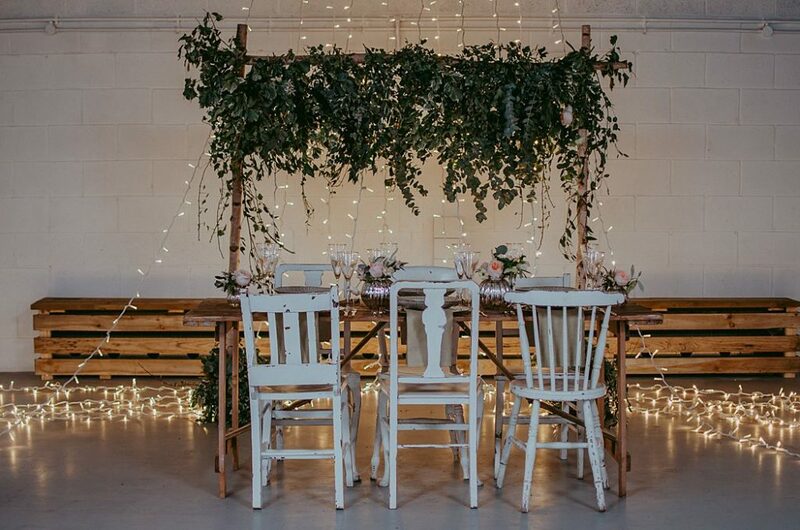 White chairs and trestle tables, with flowers interlaced through the middle of the table, a warm cosy feel was created. 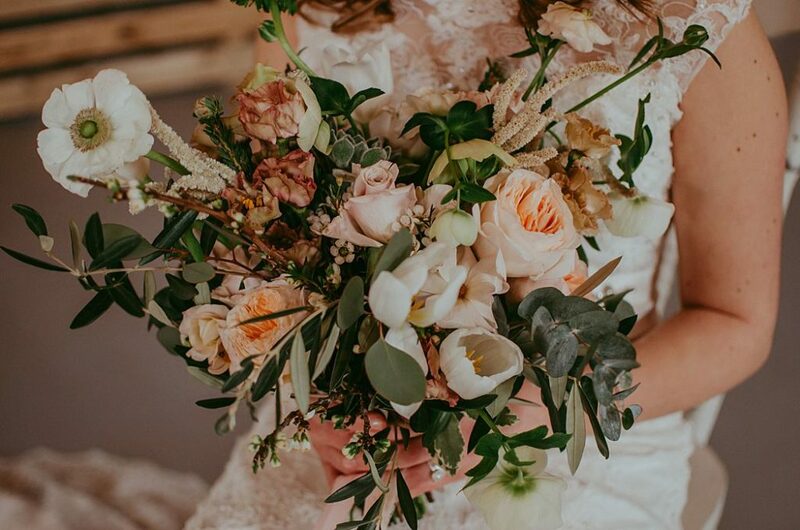 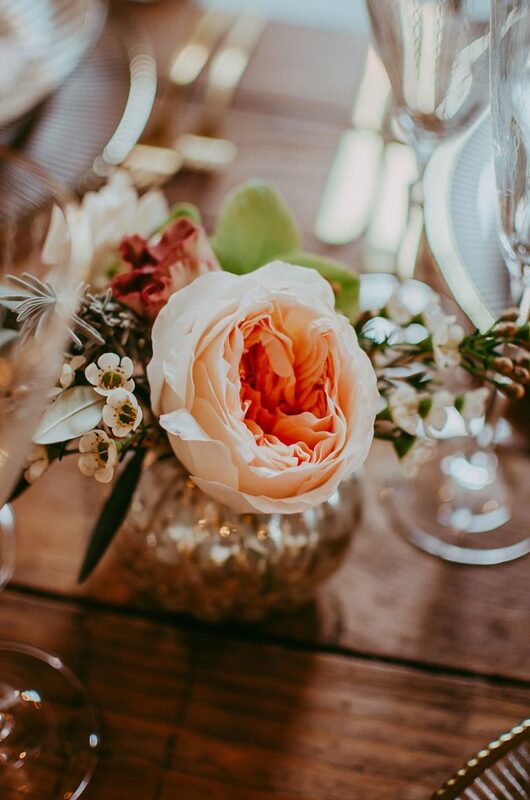 Sarah Guild Floral Design was the florist for this shoot, I knew she would be the perfect choice to bring everything together. 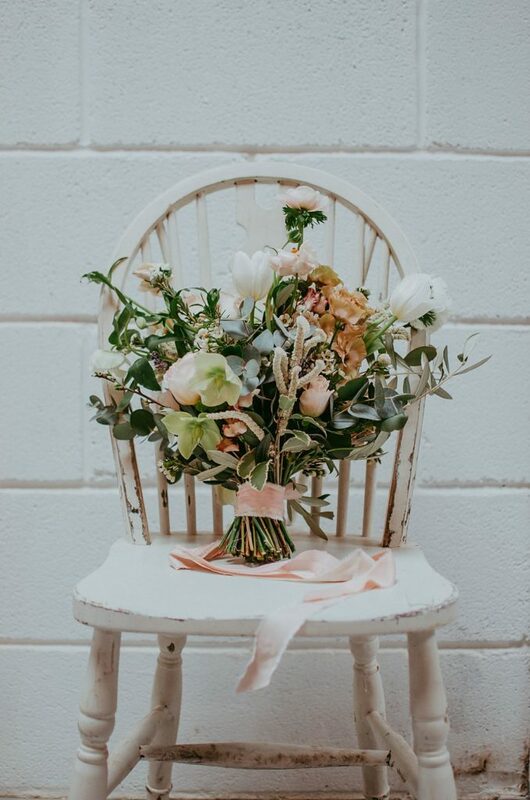 With soft pink ribbons, flower buds and foliage mixed in, the result was beautiful. 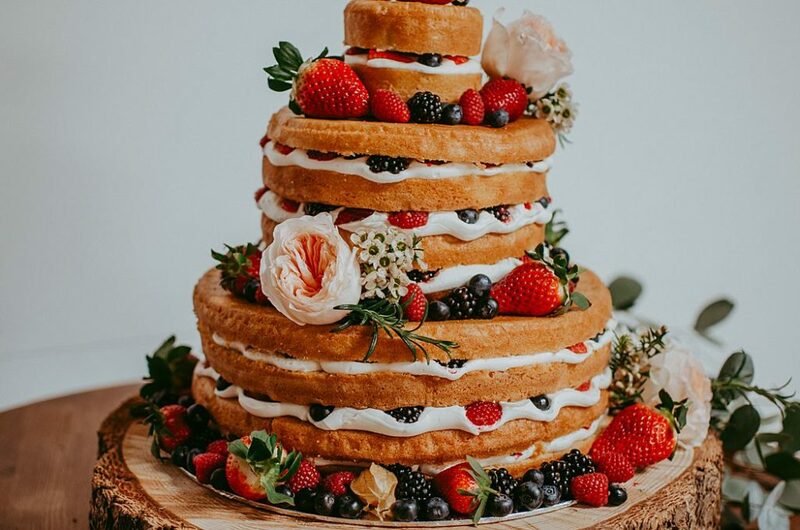 The cake was a standout piece, with tiers of sponge and mixed berries and flowers to compliment, it was a mouthwatering addition to our styled shoot, perfectly tying together the rustic, simple theme. 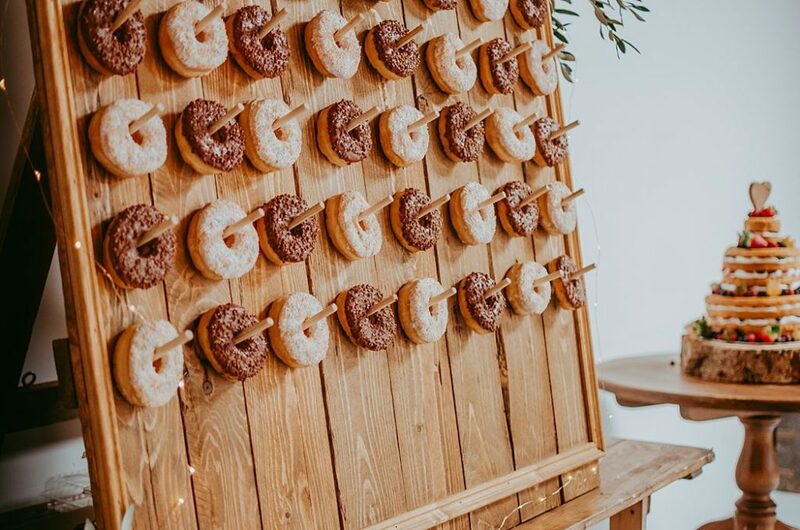 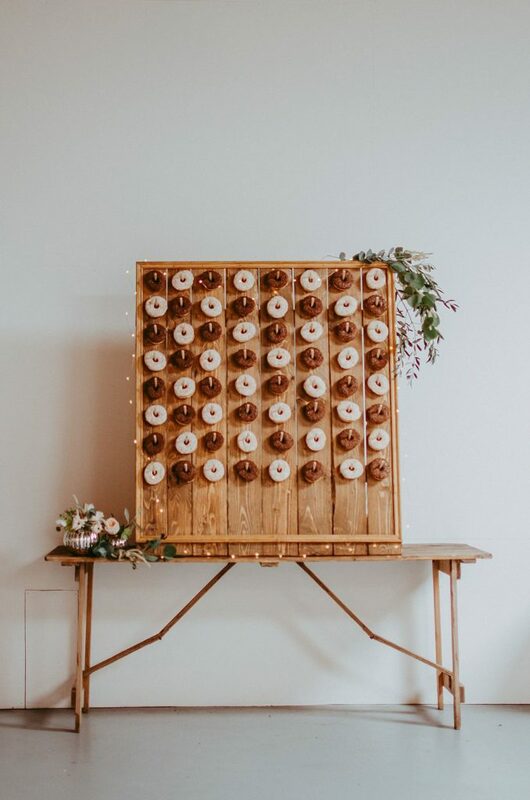 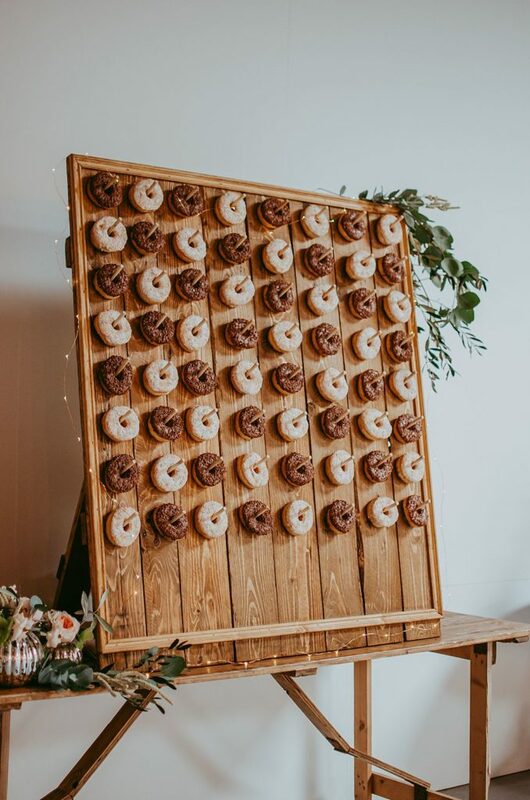 Alongside this was a doughnut wall, a great way to bring guests together and cater for everyone.